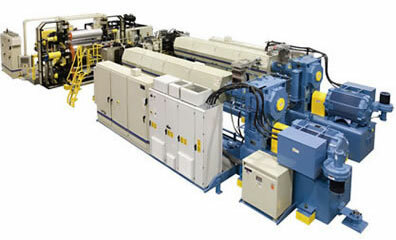 TRIDENT® Model 7000 (7.0"/175mm) Water Cooled Extruders with 700HP AC Drives; Compact Hybrid REVOLUTION® Model V601836 5-Roll Sheet System. PTi is a pioneer in supplying high capacity co-extrusion sheet systems used for inline thermoforming of deep-drawn PP beverage cups. 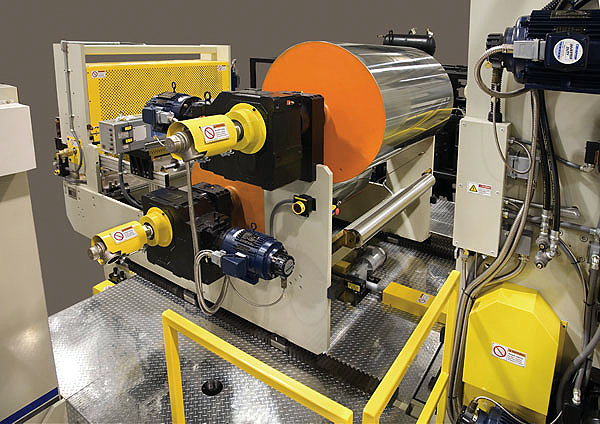 Technology has evolved among thermoformer equipment producers to levels that permit operating machines at higher cycle rates with larger tooling platens, thus requiring higher in-feed rates of extruded sheet. 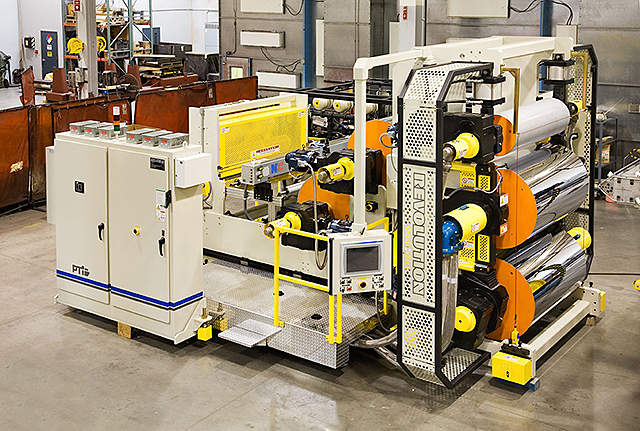 As these trends continue, PTi's engineering driven solutions will provide sheet extrusion systems specifically configured to fulfill these capacity requirements. Compact Hybrid REVOLUTION® Model V601836 5-Roll Sheet System.